Court reporters play a vital role in our civil and criminal court systems. Also called court stenographers, court reporters are responsible for creating the records that help keep our courts transparent and fair. A court reporter needs to rapidly record the things that are said by judges, witnesses, lawyers, and others. Doing the job right requires proper training and certification, but the rewards of a successful career in court reporting can be great. 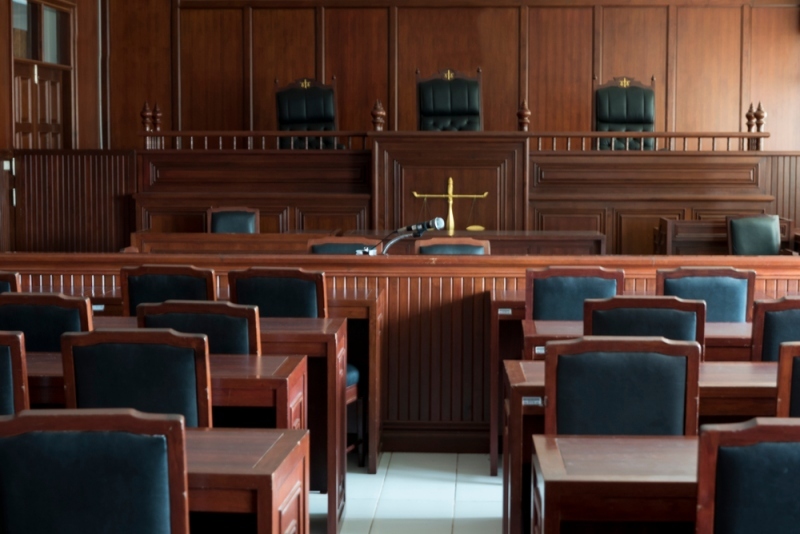 Here’s what you need to know about court reporting. Court reporters are responsible for recording what is said in court. They need to do this in real time. As attorneys, witnesses, and others speak, the court reporter is furiously typing everything that they’re saying. Recording all of this information with a traditional keyboard would be impossible, so court reporters use a specialized device called a “stenotype.” A stenotype keyboard looks only a little bit like the ones that we’re familiar with from our computers. It’s missing letters, for one thing. For another, some letters are bigger than others. It’s created this way so that court reporters rapidly input common words and phrases and enter other, less common ones quickly and phonetically in a specialized shorthand to ensure that everything is recorded exactly as it was said. This is tough work. Court reporters have to be excellent at transcribing information. They need to know how to handle crosstalk — moments when multiple people are speaking at once, when a transcriber may need to denote the crosstalk instead of recording each word — among other unique things. Right now, there is no artificial intelligence or machine learning program that has shown the ability to do the job of a court reporter. For now, and for a long time in the future, we’ll need human beings to do this job. How does a person become a court reporter? Court reporting isn’t easy, but it’s a job that you can get if you really put your mind to it. To become a court reporter, however, you’ll first need training — and, in most cases, your own stenotype. Requirements for court reporting vary by region, explain experts at court reporting firms in Miami. But no matter where you’re looking for work, you’ll want to start with training and certification courses. Opting for a two-year associates degree in court reporting is a smart way to start. The good news is that court reporting jobs do not generally require a traditional four-year college degree. From there, you can take tests and achieve other certifications to prove to employers that you’ve learned the skills that your coursework was teaching you. Some certifications are optional — check local requirements in your area, or pursue optional certifications in order to set yourself apart from the pack! So if you work hard to get certified and then land a job as a court reporter, how much can you expect to make? A fair amount, experts say. Court reporters can make more than six figures — $100,000 a year, which is a great salary for a job that does not require a college degree. Your salary will depend on your region, your experience, and other factors, of course. In many areas, a court reporter’s salary is more than enough to live comfortably on. And court reporters enjoy good job security in many cases, thanks to a steady demand and the fact that computers can’t yet handle such an important job. Court reporting can be a rewarding way to work in a thrilling environment. If you interested in such a path, be sure to check your state’s requirements to ensure you complete all the required steps.